a period of 18.6 years. The maximum declination of the moon at ‘lunar standstill is currently 28.5 degrees and this occurs every 18.6 years, as shown in the diagram. However 7000 years ago the earth’s tilt was 24.3 degrees compared to the current 23.5 degrees. 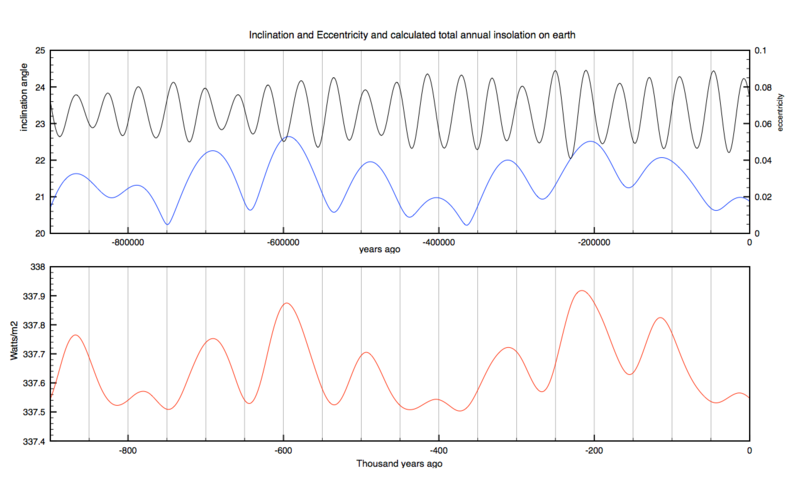 The obliquity is also decreasing so that in 12000 year time it will be only 22.6 degrees. This means that lunar standstills reached 29.1 degrees around LGM, while in 12000 years time they will reduce to only 27.4 degrees. This significantly changes the maximum strength of tidal flows at large latitudes during a lunar standstill. It is the tractional (horizontal) component of the moon’s gravitational tide which draws the oceans into a tidal bulge. This maximum tractional force occurs at about 45 degrees to the tidal bulge, so increases the average traction acting on polar regions. I have calculated this effect using the lunar ephemeris published by IRME back to about 8000 years ago. A clear reduction of the amplitude of high latitudes, Lunar standstill tides with decreasing obliquity is observed. Extreme tides at high latitudes have been decreasing for the last 8000 years in coincidence with the decreasing obliquity of the earth. The solar tidal component at perihelion has also reduced by about 5% due to the decrease in eccentricity. 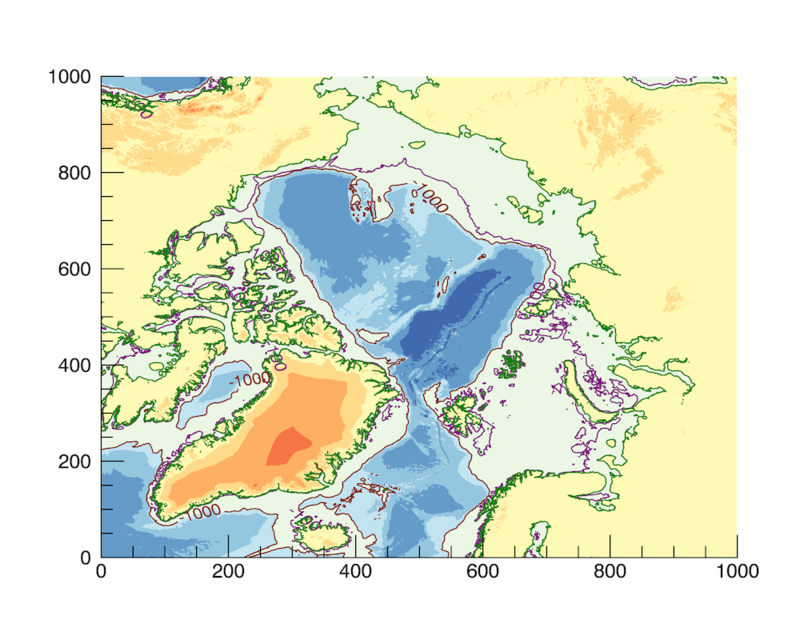 At the LGM sea levels were 120m below current levels. As a result the edge of ice sheets were grounded around Northern Europe and the Arctic which strongly affecting tidal dynamics. The energy dissipation in the North Atlantic and Arctic have been estimated to be five times stronger than today. Furthermore the tidal tractional force at maximum lunar standstill was significantly stronger combined with enhanced spring tides from the solar component. Enhanced tides also drive the meridional overturning circulation MOC which is sensitive to increased enhanced tidal dissipation in the deep ocean . Are these ‘Milankovitch’ tides the primary cause of the rapid melt back of the ice sheets once Arctic summer insolation had peaked ~15,000 years ago?